Posture Pro is a software program used to objectively evaluate your spinal posture and can be used to produce a report that will identify key risk factors that affect your spinal health. Poor posture is not a condition, but an indication of muscle imbalances or hidden spinal curvatures that can cause a number of serious problems. Through the measurement of key angles and heights within your body, your clinician is able to use the information to help design appropriate and more effective treatment plans to help you to improve your muscle length, strength, flexibility and overall improve your posture. The pictures captured are held within the computer program and can be used to compare progress throughout your treatment pathway. Using an objective measure of your changing posture is a highly effective way of helping you to understand the benefits of the treatment you are receiving. Recognition of the extent of your spine related problems can help prevent the degeneration, cartilage, ligament and muscle damage that poor posture can cause over time. 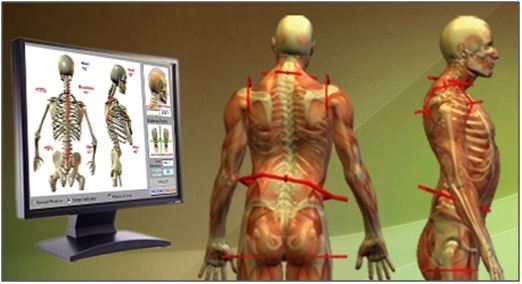 Postural Analysis is a 20 Minute Physiotherapy Consultation. Private Health Rebates Apply. Detect and correct, come and see out therapists for your Posture Pro scan today.